What’s it like working as a Pilot? 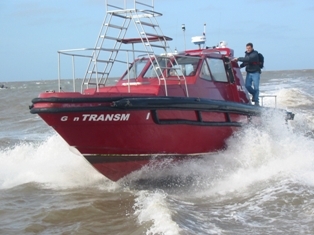 Ports and Harbours employ marine Pilots to ensure the safe navigation of ships in their waters. Pilots board ships entering or exiting the port or harbour, and navigate them safely in and out avoiding submerged rocks and other hazards. This is a physically demanding role, where Marine Pilots are required to board moving vessels from small high powered launches, often in rough seas. 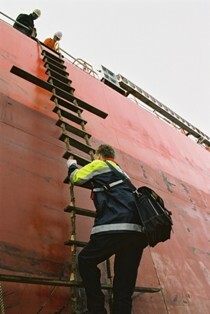 This can involve climbing high ladders to access ship decks. This can also be a tense role, where Pilots may be faced with high risk cargoes, poor maneuverability, and communication difficulties, so the ability to remain calm under pressure will be a sought after quality. Due to the 24-hour nature of the work there is often an on-call requirement for Pilots and shift or weekend work is likely. Pilots within ports and harbours are responsible for the safe berthing and releasing of ships from quays, and the safe transit in and out of the port. As such, Pilots will need specialist ship handling knowledge, as well as up-to-date information on the port drafts and channel dimensions. Before boarding the ship, the Marine pilot has to plan the course of the ship taking into account the weather, tides, the size and the weight of the ship, and its handling characteristics. The Pilot will also assess if there is a need for tugs. Once on-board, the Marine Pilot navigates the vessel in close contact with the Master and senior Officers, the control tower of the port and any other ships in the immediate area which may affect safe passage. The majority of pilots work in a specific port, so their local knowledge is unrivaled, although some pilotage positions are offshore, for example transiting environmentally sensitive channels. Generally, Pilots are professional seafarers who have served on ships in the capacity as a Deck Officer or Master. But the key to being a competent Pilot is detailed knowledge of a port approach or dangerous navigational area. For this reason, it is not unusual that the Harbour Master is also the Pilot in smaller ports. Entry requirements vary depending on the pilot authority but candidates will usually need a ship master’s certificate. With unparalleled specialist knowledge, a Pilot is one of a port’s most revered and respected assets. The industry is facing a shortage of suitable pilots as a large proportion are retiring over the next two decades. This is compounded by a global shortage of Officers and consequently means that there will be an number of openings for Pilots. 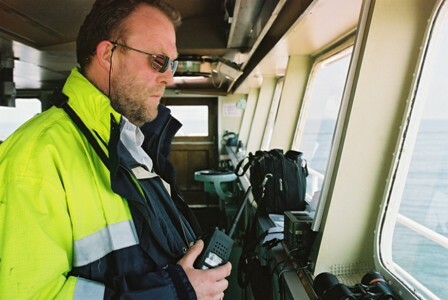 While technological advancements in navigation systems will likely reduce the number of ships that need compulsory pilotage in port approaches, confined port areas still need the expert hand of a Pilot and will continue to do so for the foreseeable future.